Making sure the roof overhead wasn’t about to cave in! 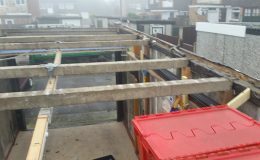 At Rapid Response we are often called in to deal with particular refurbishments that are in reality emergency refurbishments, or at least if the building or location needs to be used by residents or occupiers the particular hazard needs to be removed. In this particular case the hazard was a leaking and rather precarious garage roof. 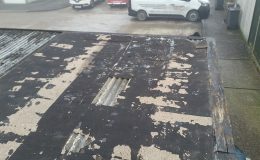 Rotten timbers, disintegrated roofing felt, and generally in a very poor state of repair. 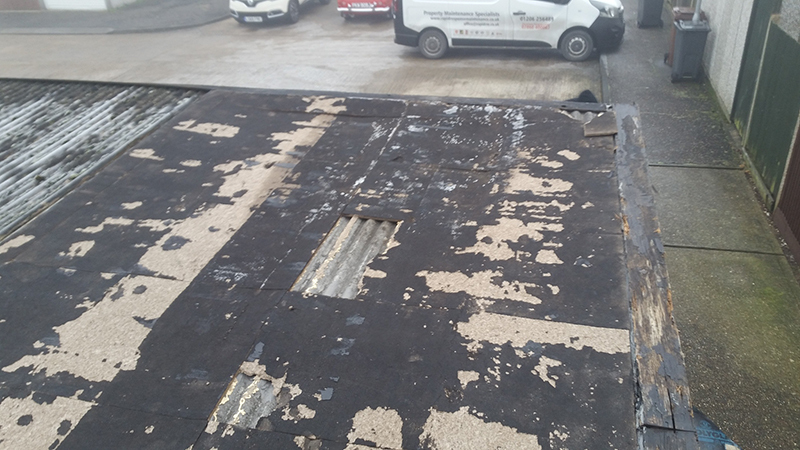 The first task was to remove all of the damaged and rotten areas of the roof, which meant stripping right back to the original timber roof joists. 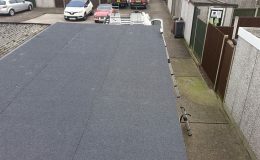 As the pictures demonstrate, even though we had stripped right back, there was still some repair work to carry out before even contemplating the fitting of a new roof. 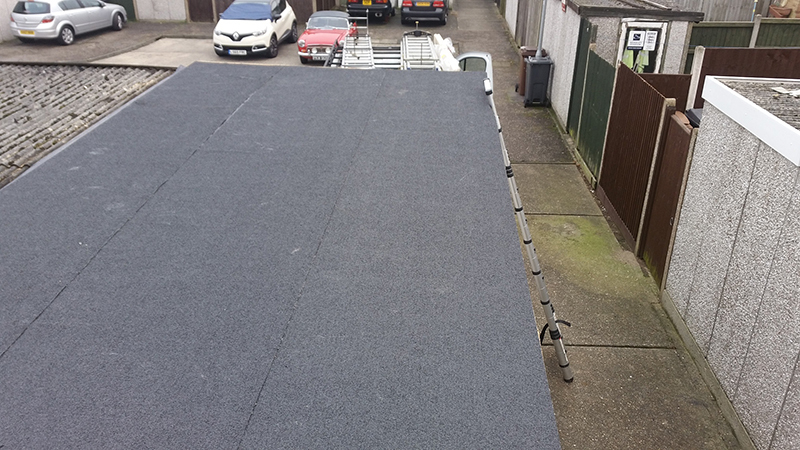 We set about the repair work, and once completed new roof boards and felt were applied. 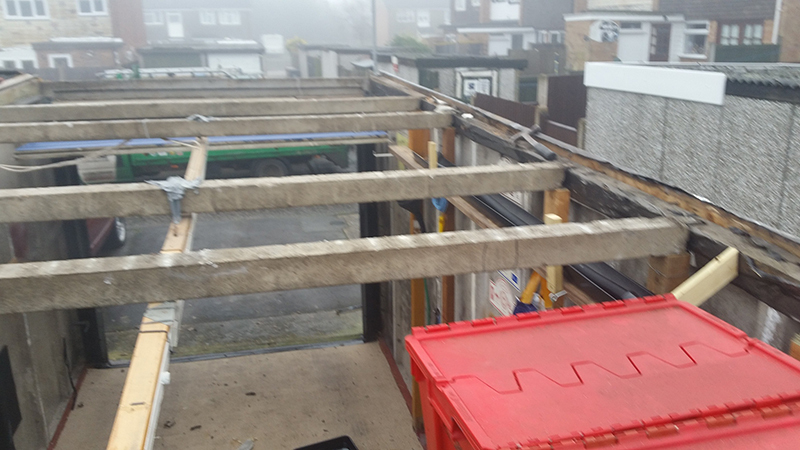 A pretty simple project in reality, but the client will now have a secure, dry and safe location to store what they like in the garage without fear of the roof collapsing at any time!